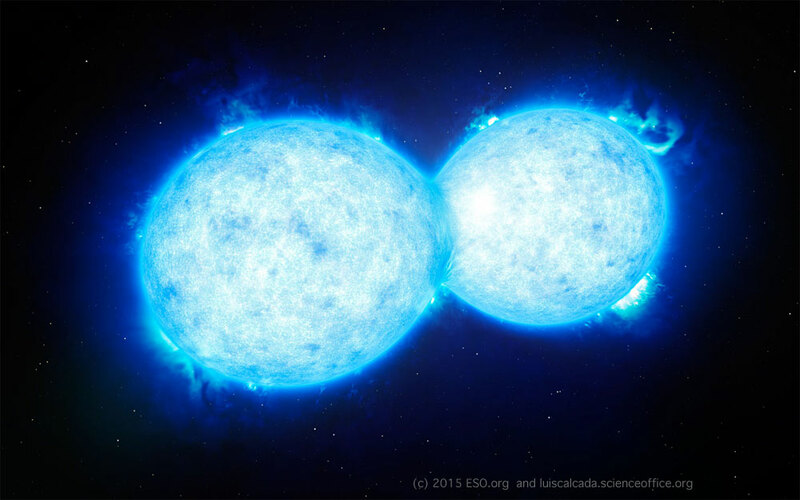 In keeping with the Halloween theme, today we showcase two “monster” stars kissing as they head to their doom. Luís Calçada‘s rendering of this kiss gives us two beautiful blue fire ball stars with lots of swirls very similar to Van Gogh’s Starry Night painting. Today’s MotD is brought to you by science AND art, demonstrating yet again that art & design play an important role in our education and needs to be added to STEM. (see STEM->STEAM) Without the art/artist, today’s image would probably have been just a simple line drawing of two circles slightly overlapping.